On November 2, Hồ Ngọc Hà has just released a new song ballad “Giá như mình đã bao dung”. This is the song by composer Nguyen Hong Thuan wrote for her. Kim Ly was also present at the concert, attentively watching the performance of his girlfriend from afar. Last time, there were rumors of both cracks. However, the pair of stars dissolve rumors when appearing together in the event and have intimate gestures. She improvised cover Hong Kong 1, the song is causing fever on the social network, as requested from the audience. 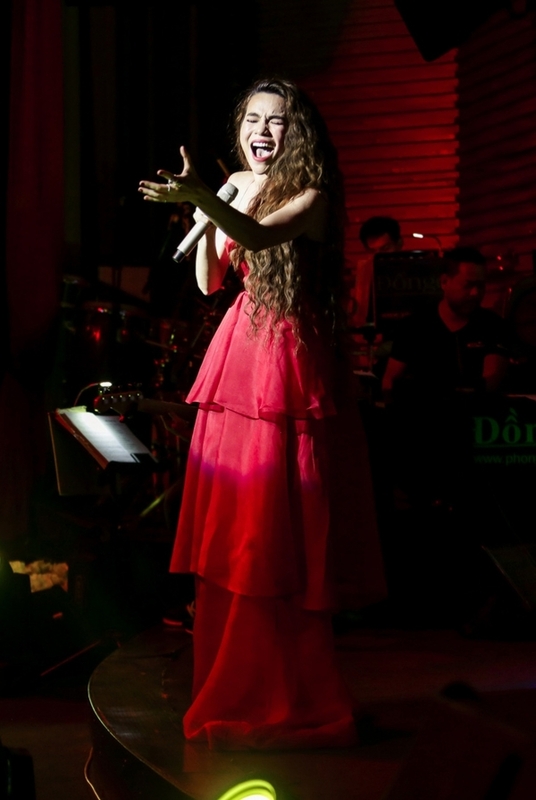 Not only performing, Ho Ngoc Ha also led the program with humorous, witty stories that made the audience repeatedly applauded. After the night, the singer lingered with her fans. 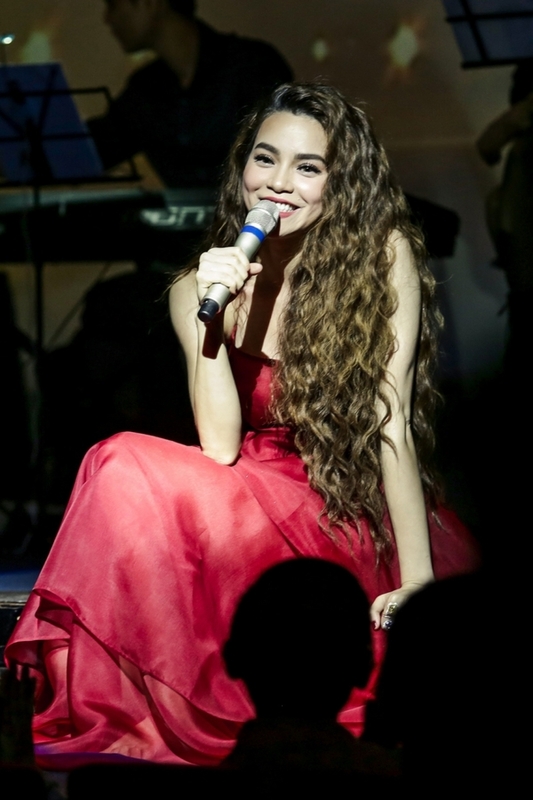 She will be releasing new songs on November 4 in Hanoi and November 9 in Da Nang. 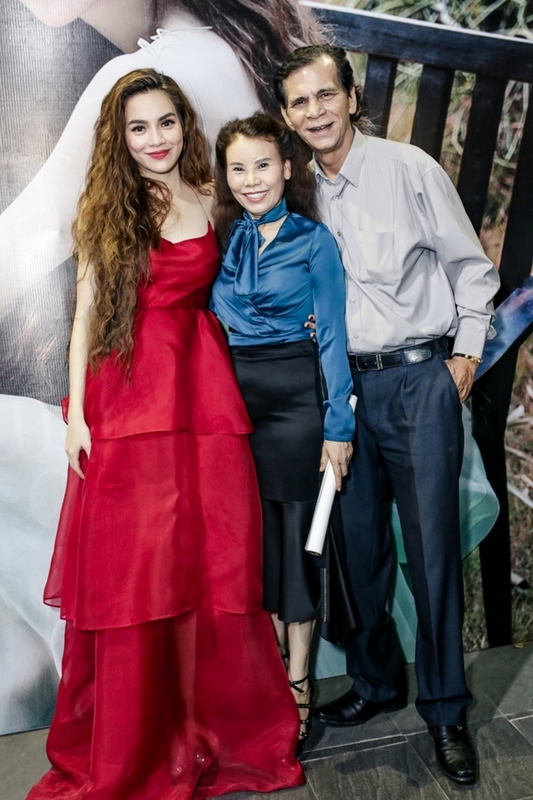 Ha Ho and her parents. 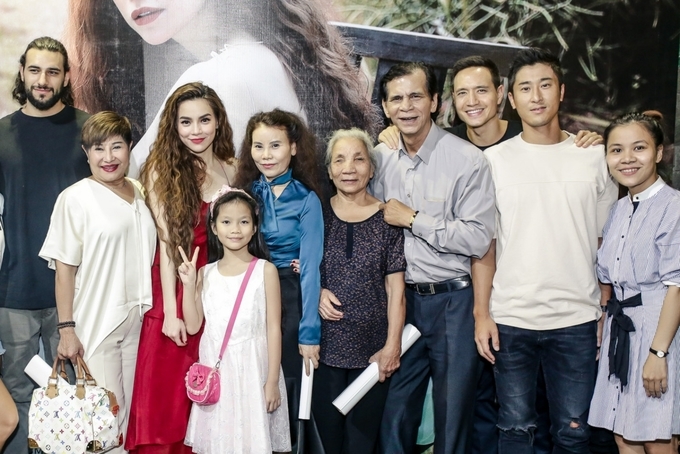 Kim Li (third from right) also appears with his girlfriend family.